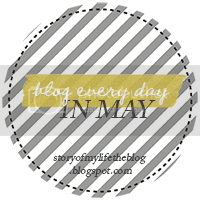 Welcome to my "Blog Every Day in May Challenge" going on over at Jenni's Story of My Life. Disclaimer: I know it is not May anymore, but I only got half way through the month's challenge and want to finish with these topics. Day 18 for Saturday, May 18th: Tell a story from your childhood. Dig deep and try to be descriptive about what you remember and how you felt. 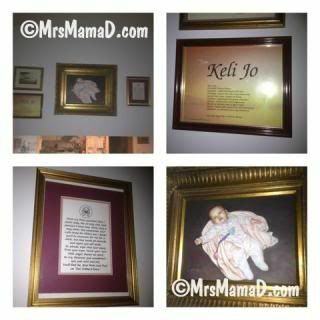 The one major event that sticks out to me is the day my sister, Keli Jo, passed away from SIDS. It was March 15th. It was a hot and sunny day. I was in the 6th grade. I remember playing with her that morning before school. I remember vividly getting off the bus and greeting my aunt Jamie. I thought it was weird that she was there after a school day in the middle of the week. Internally I was asking myself why, but didn't actually say anything. I remember walking the block up to my house from the bus. I remember it being the longest walk of my life. I didn't want to run, for fear of the unknown, so I just kept walking. I knew something was up. The air had changed. I don't remember if Jamie was talking to me. I think my little brother was there too. But I just kept walking. I knew I wanted to get to my Mom and Dad as soon I could. I remember walking in the door to our house and seeing all these people. I remember walking up the stairs of our split level house to even more people. I don't remember exactly who was all there. A handful of close family and friends. I know our pastor for sure. I remember my parents sitting me down on the couch and telling me that Keli had died and that she was in heaven and she wasn't coming back and if I had any questions or wanted to say anything. I honestly don't remember what else they said or if I said anything. All's I remember is tears. Lots and lots of tears and crying. I remember the feeling of hopelessness that I wouldn't get to hold her again or kiss her again or even say goodbye. She was just 3 months old. Babies weren't supposed to die, only old people. In my brain that's what I was thinking and up until that point that was the only form of death I had experienced. I changed that day. My Mom changed that day. My Dad changed that day. My brother changed that day. My family as a whole changed that day. Still until this day, I give both my parents credit for sticking together. They roughed out the hard times. Also, now that I have my own daughter, I can't imagine the amount of pain they each went through respectively. I don't know if I would be strong enough to get through it. I know why they did. For me and my brother. And I do believe that everything happens for a reason. Even death. I know that my Mom's birthday (12/17) will be a hard day for the rest of our lives. It was also her birthday. I also know that March 15th is a hard day as that is the day she passed. I know she would have turned 18 this past December and she would have graduated this year in June. I also know that without that great loss, we wouldn't have Amie and Kate. I don't know what my life would have been like with Keli, but I do know what it is like with Amie & Kate and by God how blessed am I to have those two in my life. What an awful thing to have to endure at such a young age, Leah. I am sorry for that terrible loss. so sorry to hear about this.. and it's amazing how when you reach an age to understand your parents better with respect to something that happened so long ago. I find myself thinking the same things when issues present themselves.